Time is running short to make a jump towards federalism - to avoid a complete collapse of the euro, Guy Verhofstadt, leader of the liberal ALDE group in the European Parliament, tells EURACTIV in an exclusive interview. Public procurement should become the driver of new technology developments and the main vehicle for economic recovery, Malcolm Harbour MEP, the new head of the European Parliament's internal market committee, told EURACTIV in an interview. In an interview with EURACTIV France, French Socialist MEP Pervenche Berès highlighted the importance of including a social dimension in the battle to solve Europe's economic problems, and questioned the decision to award the European Parliament's important economic committee chair to an English Liberal MEP. "Our engagement for climate protection should be independent from Copenhagen," the newly-elected chair of the European Parliament's environment committee, German Social Democrat MEP Jo Leinen, told EURACTIV in an interview, stressing that "if Copenhagen is a success, all the better; if not, we have to stick to our job". 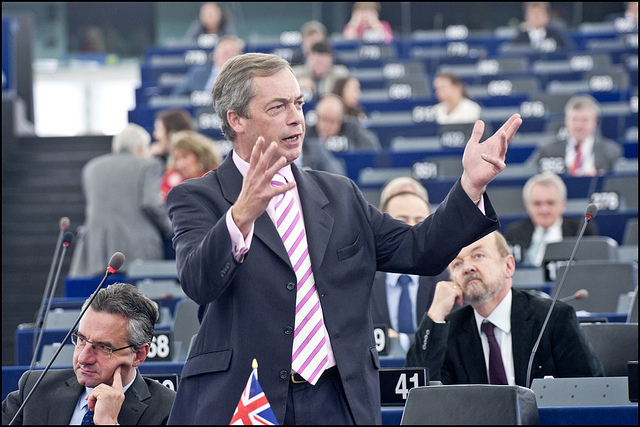 The Europe of Freedom and Democracy (EFD) group, a new far-right political faction in the European Parliament, intends to "invest some money getting a proper legal opinion on these 'guarantees' given to Ireland by EU leaders," Nigel Farage, the group’s co-President, told EURACTIV. British Conservatives MEPs' influence in the new European Parliament will "decline considerably" as a result of party leader David Cameron's decision to pull them out of the European People's Party (EPP), Elaine Cruikshanks, CEO of consultancy Hill and Knowlton's Brussels office, told EURACTIV in an interview. The election success of the far-right British National Party (BNP) does not signal a major shift to the right in British politics, according to former British Labour MEP Richard Corbett, who lost his seat to the BNP in last weekend's European election. Polish Civic Platform (PO) MEP Jerzy Buzek's nomination as chair of the European Parliament's centre-right EPP-ED group would be "a great sign of openness," Dominique Lesage, a Polish candidate of French origin running on the Warsaw list of Prime Minister Donald Tusk's PO party in the EU elections, told EURACTIV in an interview. The projected results of the Dutch European elections, in which the far-right anti-EU and anti-immigration Freedom Party (PVV) have recorded huge successes, are "disappointing" and "shameful", leading candidates from the Netherlands' main centre-left and centre-right parties told EURACTIV in an interview. European expats living in Belgium should be able to vote in regional elections, which should be held separately from the EU poll in order to ensure targeted debates, Julie De Groote, who is running for reappointment in Belgian regional elections, told EURACTIV in an interview. There is no rule of law in Italy under Berlusconi, former European commissioner and current vice-president of the Italian Senate Emma Bonino told EURACTIV from Rome in a telephone interview yesterday (3 June). Establishing a new conservative, anti-Lisbon and anti-federalist group in the European Parliament will not weaken the European People's Party, Geoffrey Van Orden, a leading Conservative MEP, told EURACTIV in a telephone interview. The future of European politics is bleak unless politicians make an effort to change their blighted image and show more leadership, Dr. Ulrich Reinnhardt, CEO of the Stiftung für Zukunftsfragen (Foundation for Future Studies), a German think-tank, told EURACTIV in an interview. The foundation has released a comprehensive survey of European voters ahead of the June European elections. After over fifteen years of a "fierce and brutal two party-system," Spain is ready for a third moderating force to inject some reasonable and sensible discourse into Spanish politics, redress abstentionism and allow the country to embark on a new economic deal, said Sean O'Curneen, the Centro Democratico Liberal's top candidate, in an interview with EURACTIV. Only with the proliferation of trans-European parties can we build the "strong and stable democracy" needed to see the EU achieve its potential as a "world power", Bart Kruitwagen, treasurer of the 'Newropeans' party, told EURACTIV in an exclusive interview ahead of the European elections. The June European elections will decide what kind of stable majorities can be built in the next Parliament in order to win qualified majority votes, Pat Cox, former European Parliament president told EURACTIV Poland in an exclusive interview. If the Socialists gain more influence following the June European elections, there will be more state aid for economic restructuring cases, such as the Poland's Gda?sk shipyards, Poul Nyrup Rasmussen, president of the Party of European Socialists, told EURACTIV in an exclusive interview today. Hungary and Slovakia must make a major effort to overcome nationalist tension, Péter Balázs, recently appointed as Hungary's new foreign minister, told EURACTIV Hungary in an exclusive interview.